The practice of loving kindness and compassion is very important and not only helps oneself but also benefits many others. IBS encourages people to do good deeds on their birthdays and to celebrate them in a very special and meaningful way. A few years ago, IBS in the USA started a program called A Special Way to Celebrate Your Birthday. This program offers meals, clothing, and shoes to venerable monks and less fortunate people, such as children in orphanages, homeless people living on the street, and people in old age homes in many countries, including Nepal, Sri Lanka, USA, Canada, India, and Bhutan. I am happy to let everyone know that many Dharma Friends have participated in the program. Of course, offering a meal to the Sangha is the most meritorious deed of all. This kind of generosity will bring joy and happiness to those who are less fortunate. 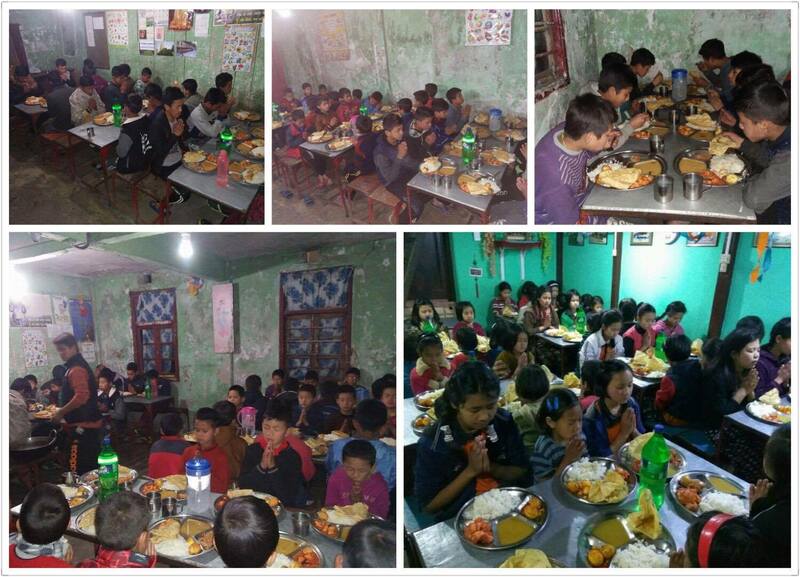 IBS is honored to help organize meal offerings to monks in Nepal, South India, and Bhutan as well as orphans and less fortunate people in India, Nepal, Sri Lanka, Bhutan, Canada and USA. Your birthday offering will make many families and kids smile and I am sure it will be a meaningful way to celebrate your birthday. Today I would like to wish a very Happy Birthday to our Dharma friends Poh Chin, Chong Moi and Kate Yang. 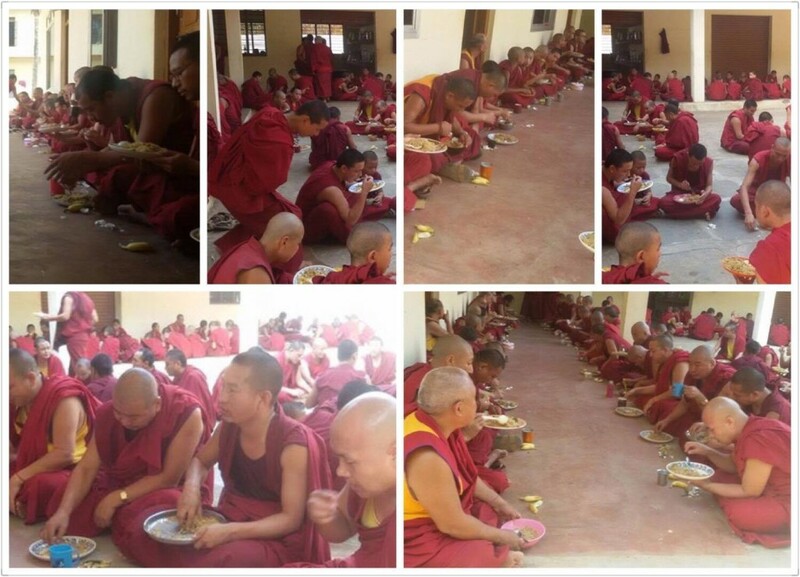 They offered a meal to more than 400 venerable monks in the Liker Khamtsen of Depung Monastery and the Jangtse Tsawa Khangtsen of Galdan Monastery in South India. 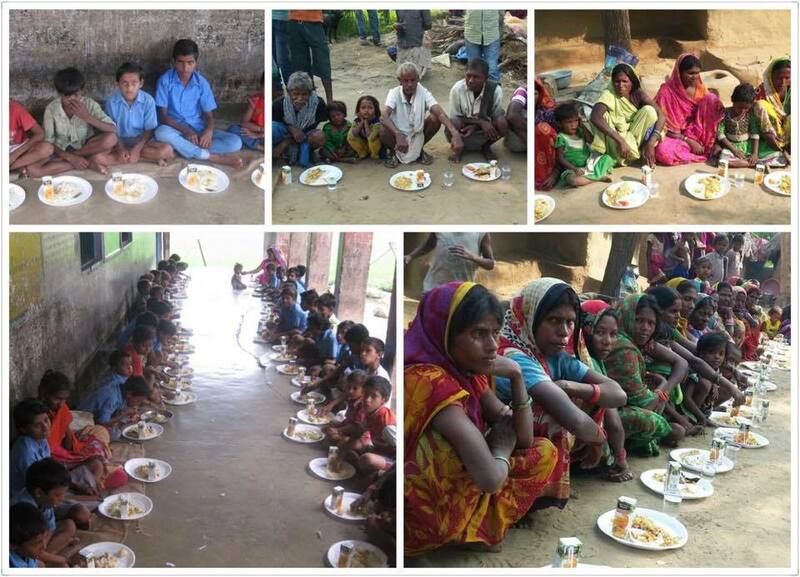 They also offered a special meal for poor children in Darjeeling and poor people on the street in Bodh Gaya, India. I would like to thank Poh Chin and Kate for their generosity. May they always be happy and healthy. May they have a long and prosperous life.